Just a quick plug to let you know that Brad Meltzer, who I’ve written about here and here, will be in Boston Monday night to read from and sign copies of his new book, The Book of Lies. He’ll be at Brookline Booksmith in Coolidge Corner at 7 p.m. You know I’ll be in attendance. Will you be there too? 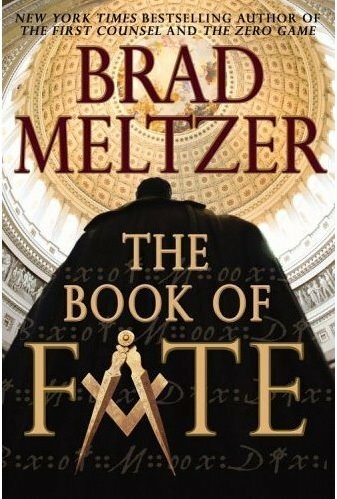 I’ve written in the past about why it is that I like Brad Meltzer, and since he’s got a new book out now, I thought I’d give him a quick plug here. I always knew the guy had a real sense of humility, but now I know he’s also got a nice self-depreciating wit — as evidenced by the following video. It’s a compilation of little leaguers and senior citizens reciting some of the barbs that have been thrown at Brad. It’s pretty funny. I got an advance copy of Brad’s new book a few weeks ago and I’m just under halfway done at this point, so I’ll hold off on giving any form of review for now. Instead, I’ll say grab a copy for yourself and let me know what you think. The book is called The Book of Lies, it’s about what the Cain and Abel story and the creation of Superman might possibly have in common, and it’s available at bookstores everywhere. Heck, the book even has a soundtrack. (Really.) Brad will be at Brookline Booksmith on Monday, September 22 at 7 p.m. I’ll see you there. For now, enjoy this video. Back in the day, I was an avid reader of Swing magazine, which was published by Ralph Lauren’s son David and aimed to inspire twentysomethings to be active members of society (or something like that). 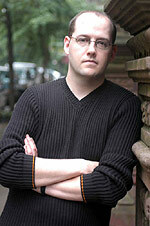 In one issue, there was a profile of a young writer named Brad Meltzer, whose new book The Tenth Justice was getting good buzz. Brad was being hailed as “the next John Grisham.” Being a young writer myself, I was inspired by Brad’s success and decided to go to a book reading/signing and meet him in person. When the time came after Brad read from the book, I stood up and asked him a question about his web site and the character sketches, which I enjoyed. Or maybe it was a question about the movie rights, which had just been sold. Or actually, I think I asked two questions. Anyway, Brad left a good impression on me that night, and when he came out with his next book a year or two later, I went to that signing too. Of course, just like I had done at Brad’s first reading, I stood up and asked a question when he opened things up to a Q&A. Brad remembered me, and later he wrote something nice in my book, thanking me for coming back. I tell you all this because Brad’s in town today (Wednesday) to promote his sixth novel, The Book of Fate, which has been getting some great reviews and debuted at the top of the New York Times Bestseller list last week. The book’s a thriller set in Washington, D.C., about an attempted presidential assassination, the secret society of Masons, and all kinds of other stuff. He wrote it with some research help from former Presidents Clinton and Bush. I’m not doing a very good job of selling the book, so I encourage you to check out Brad’s web site, where you can learn more about it. Brad will be reading from Fate at Brookline Booksmith in Coolidge Corner at 7 p.m., and if you’re free, he’s worth listening to, meeting, and reading. Just thought I’d do my part and give him a plug here. Look for me. I’ll be there.